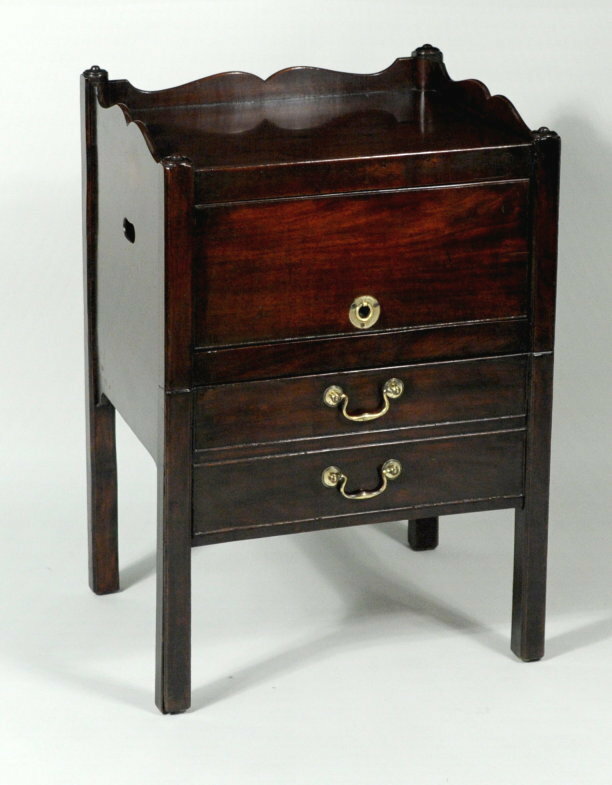 George III mahogany commode or side table, with open shelf with drop down cover, above working drawer over pull out commode section with leather covered surface. Probably England, late 19th century. 32" high, 23" wide, 19" deep.